That was proven correct. 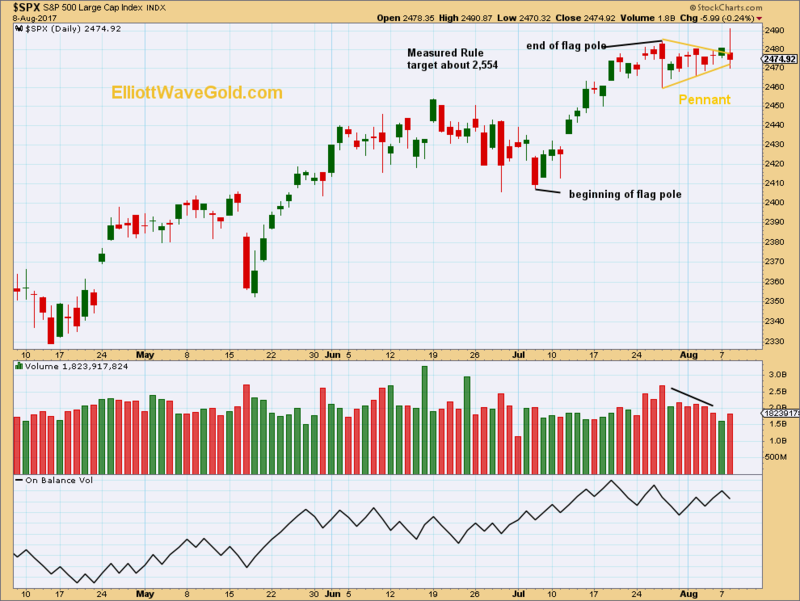 The strong downwards movement from the S&P comes on a day with an increase in volume. This is a classic downwards breakout. When a downwards breakout has support from volume, that adds confidence in it. 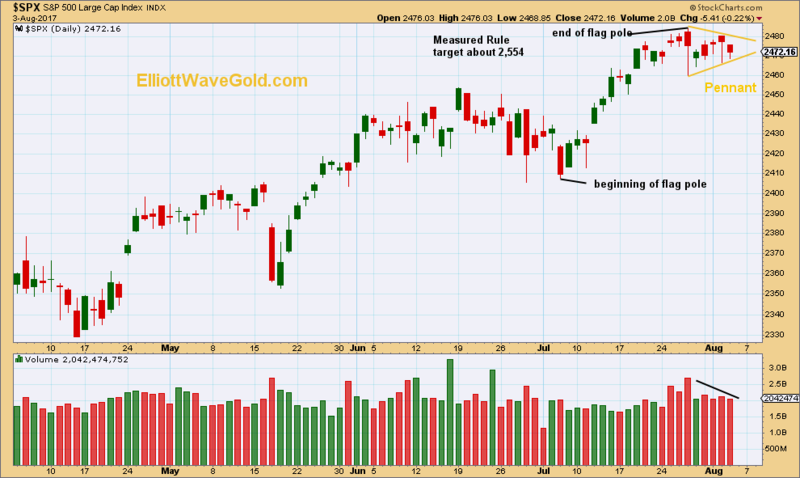 Downwards breakouts do not require support from volume; the market may fall of its own weight. Price can fall due to an absence of buyers as easily as it can from an increase in activity of sellers. But when volume supports downwards movement, it may be more sustainable, at least for the short term. This downwards breakout was predicted by strongest volume during the consolidation being a downwards day. This volume analysis technique looks at the presence or absence of support from volume on the breakout after a consolidation period to tells us how reliable the breakout may be. Published @ 12:17 a.m. EST on 12th August, 2017. After a consolidation price will break out. The presence or absence of support from volume on the breakout tells us how reliable the breakout may be. 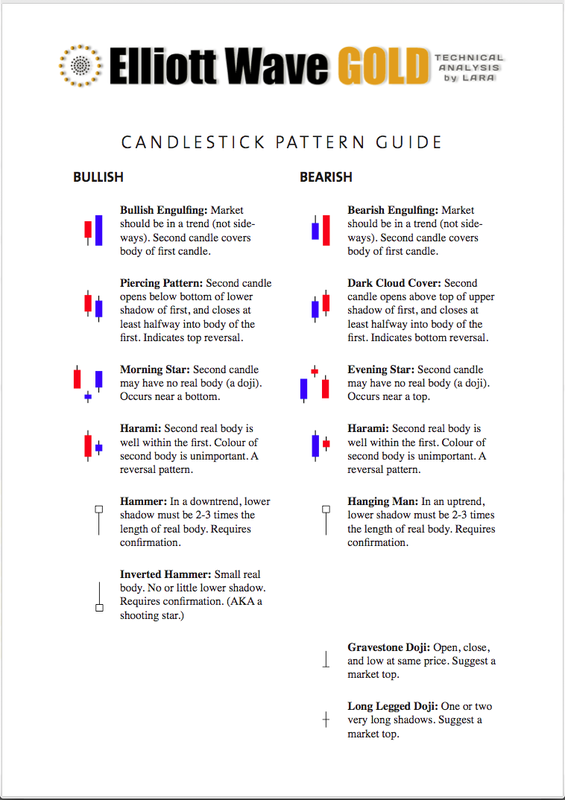 Pennant patterns are one of the most reliable continuation patterns. But in an upwards trend the breakout should have support from volume. For price to keep rising it requires increased activity of buyers. Upwards breakouts that do not have support from volume are suspicious. 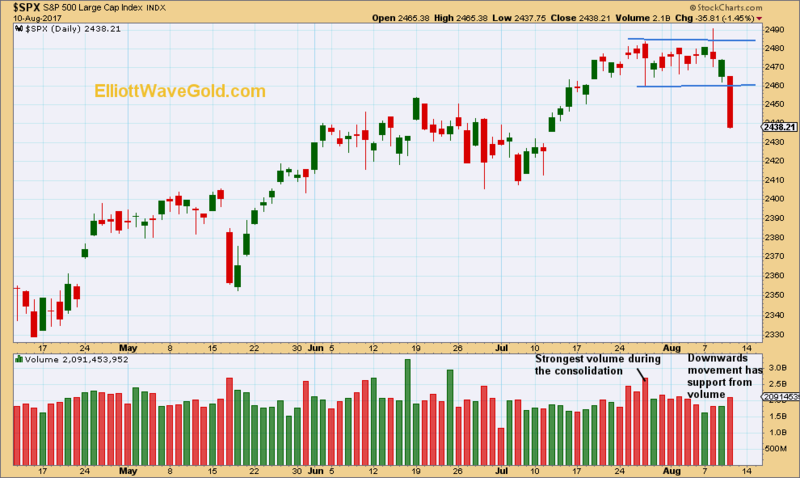 This upwards breakout comes on a day with slightly higher volume, but the balance of volume for the session is downwards. Stronger volume during the session supported downwards movement, not upwards. The breakout is suspicious and may turn out to be false. While volume is important for upwards breakouts, it is not so important for downwards breakouts. The market may fall of its own weight. Published @ 04:47 p.m. EST. 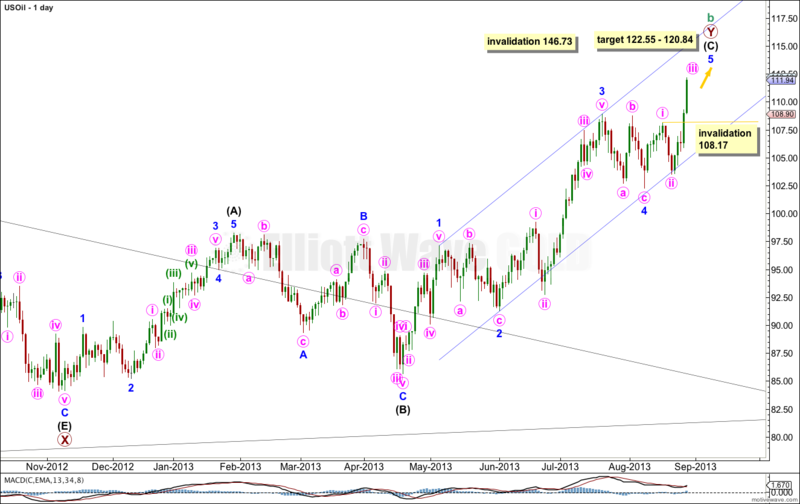 Movement above 110.56 has invalidated the main monthly wave count and confirmed the alternate. This upwards movement is not yet over. Movement above 110.56 has confirmed this wave count. Cycle wave b is not over and is completing a double zigzag, with primary wave X within it a contracting triangle. I have adjusted the wave count within the triangle of primary wave X. It now fits nicely within the triangle trend lines and has a more typical look. Intermediate wave (E) undershoots the A-C trend line. Extend the triangle trend lines outwards. The point in time at which they cross over may see a trend change, this may be where primary wave Y ends. We should expect a continuation of upwards movement from oil for some weeks yet. There is not normally a Fibonacci ratio between subwaves W and Y within doubles. 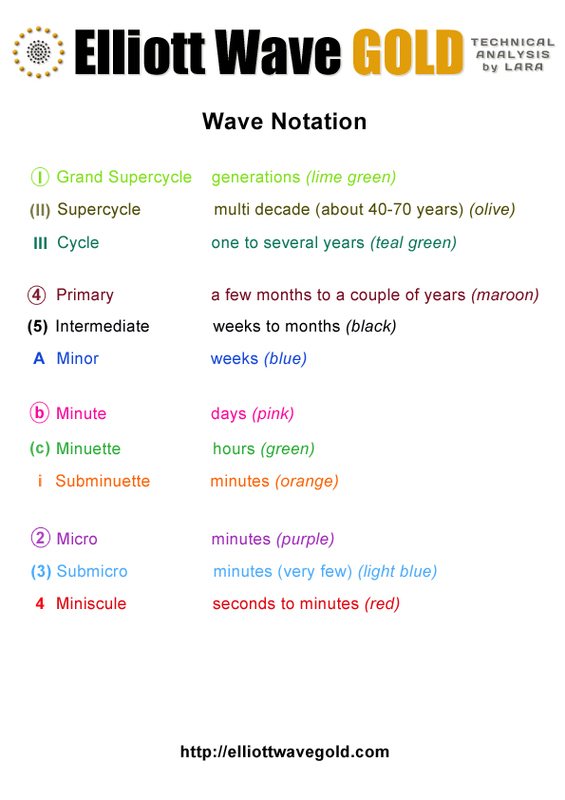 Cycle wave b may not move beyond the start of cycle wave a. 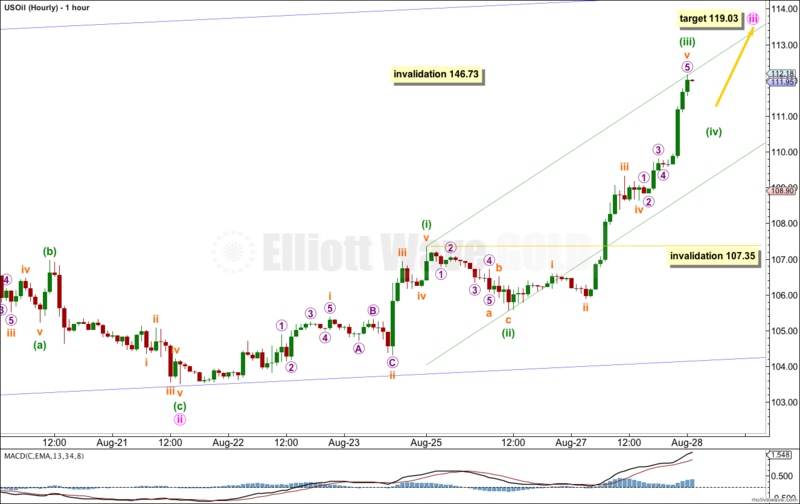 This wave count is invalidated with movement above 146.73. Within cycle wave Y intermediate wave (A) is a completed five wave impulse, intermediate wave (B) is a completed regular flat correction, and intermediate wave (C) is an incomplete impulse. At 122.55 intermediate wave (C) would reach 2.618 the length of intermediate wave (A). At 120.84 minor wave 5 would reach 2.618 the length of minor wave 1. Minor wave 3 is 0.95 longer than 1.618 the length of minor wave 1. The structure within minor wave 5 is incomplete. It requires further upwards movement. Within minute wave iii the structure is incomplete. The middle of the third wave is nearing its end. Minuette wave (iii) is so far 0.17 longer than 1.618 the length of minuette wave (i). It may not be over there though. 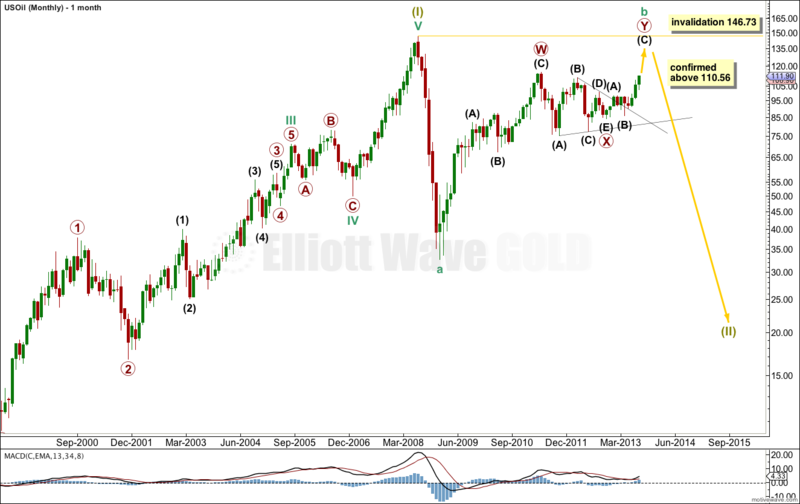 It should be over soon, and when it is minuette wave (iv) should move price lower in very choppy overlapping movement. 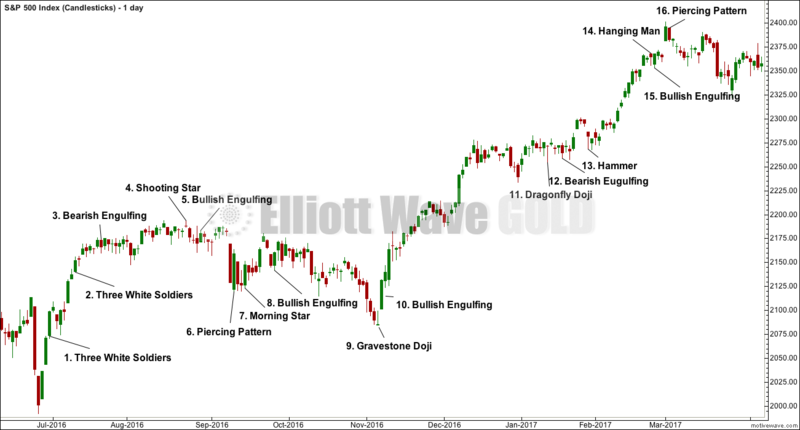 Minuette wave (ii) was a relatively shallow 47% zigzag correction. Given the guideline of alternation we may expect minuette wave (iv) to be relatively deep. Minuette wave (iv) is likely to end within the price range of the fourth wave of one lesser degree, between 109.32 and 108.64. When it is complete the upwards trend should resume. At 119.03 minute wave iii would reach 2.618 the length of minute wave i. If minuette wave (iii) moves higher then redraw the channel. Draw the first trend line from the highs of minuette waves (i) to (iii), then place a parallel copy upon the low of minuette wave (ii). Expect minuette wave (iv) may find support at the lower edge of this channel. Minuette wave (iv) may not move into minuette wave (i) price territory. 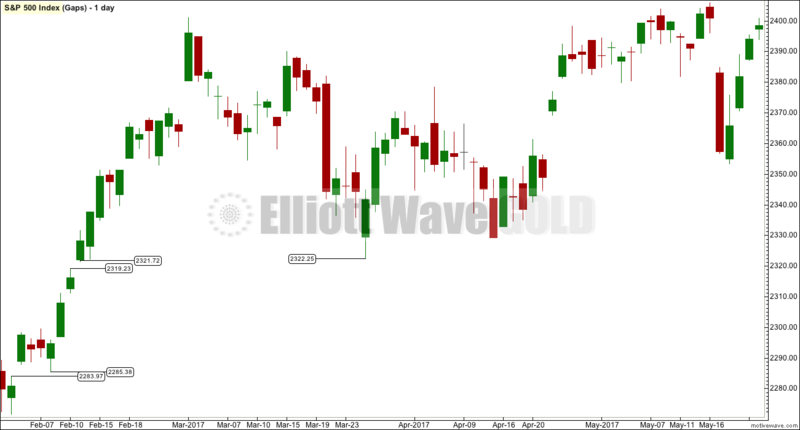 This wave count is invalidated with movement below 107.35.